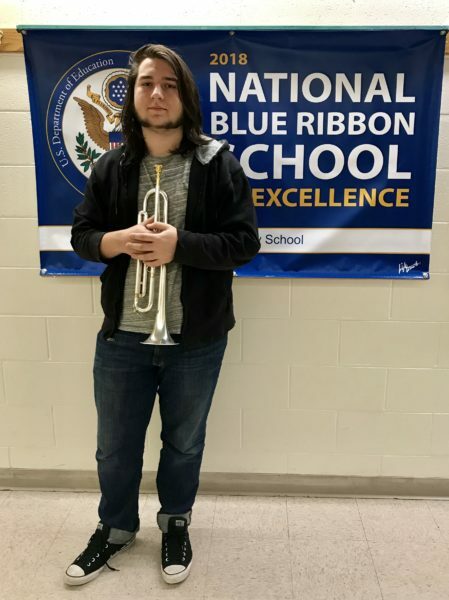 A Steller band student, Sebastien Libbrecht has been selected to participate for the 2019 All-Northwest Honor Band. Sebastien is a junior trumpet player. The honor band is a prestigious group of the most talented students from the high schools in Pacific Northwest Region. “Sebastien practices regularly and enthusiastically, with spirit,” said Mr. Toba, the band director. “This is his second time to participate for the elite honor group, which is not easy at all to accomplish. I am so proud of him.” The All-Northwest Honor Band will rehearse from February 15th through 17th, in Portland, Oregon. The gala concert will be held at Oregon CC, Exhibit Hall A-1, on February 17th.